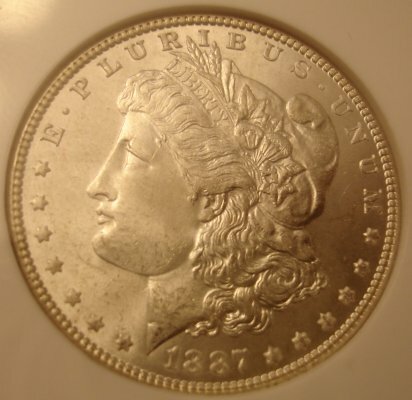 The Morgan Dollar is my favorite of all US Coins. The design has the quality of all great pieces of art in which the asthetic allure is greater than a description of the specifics can be made. 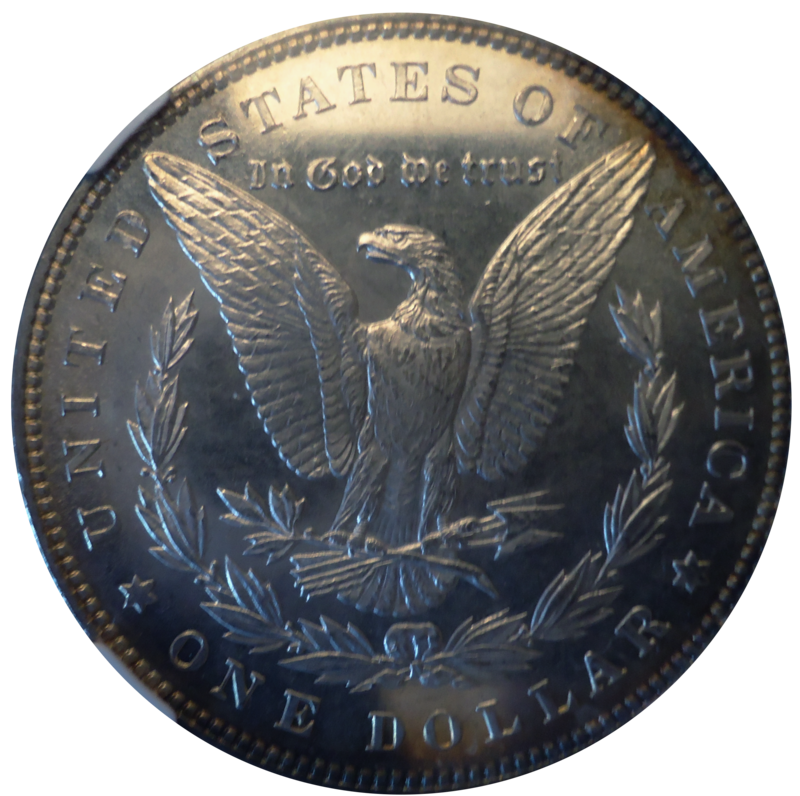 Sometimes, the total result of a work of art, in its intended material, environment, and usage, transends even the designers expection. 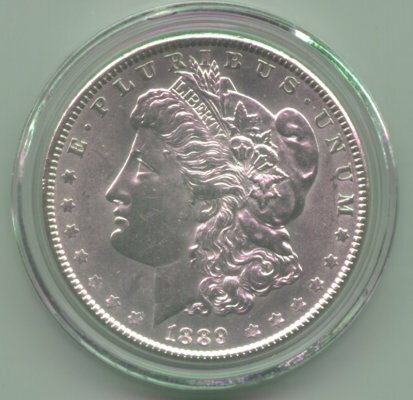 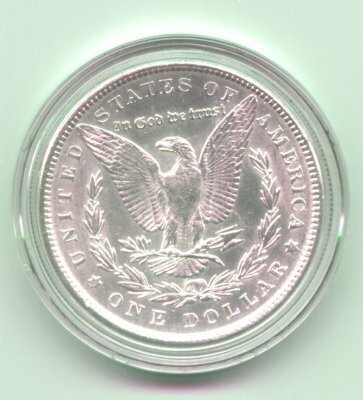 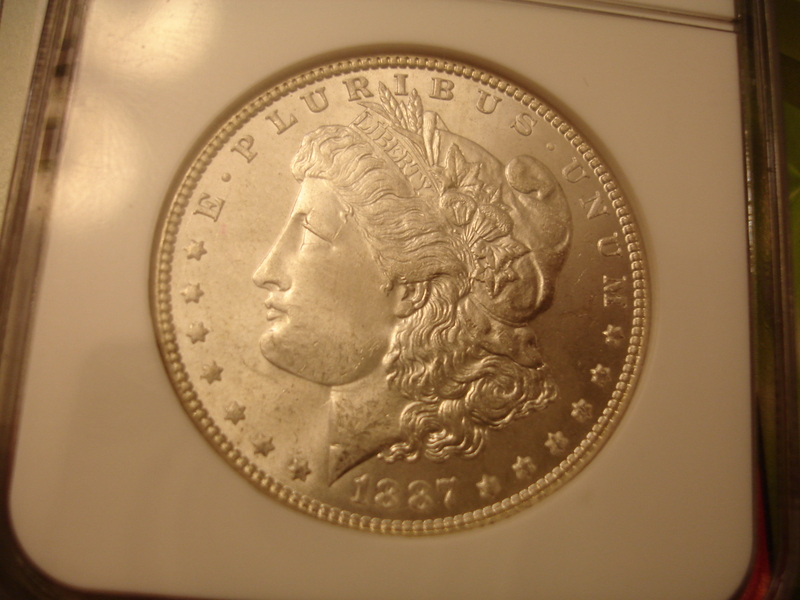 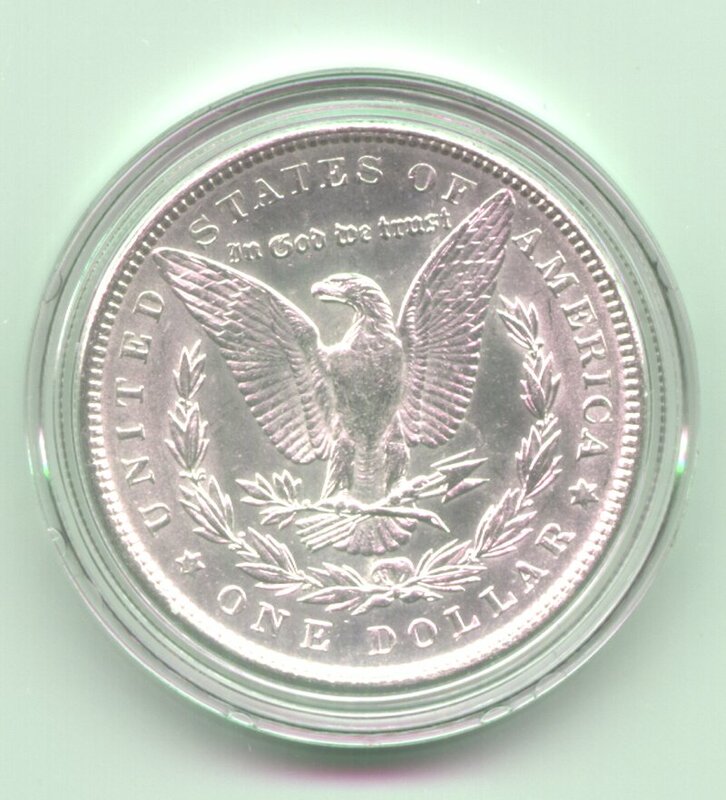 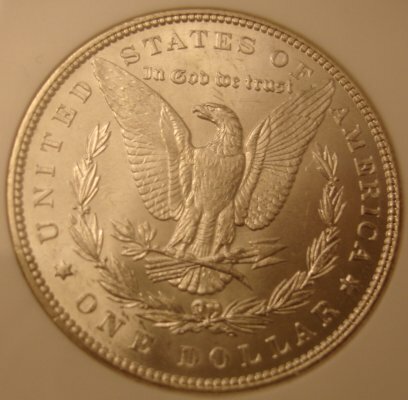 The US Morgan Dollar is such a work of art, the masterpiece of coinage worldwide. 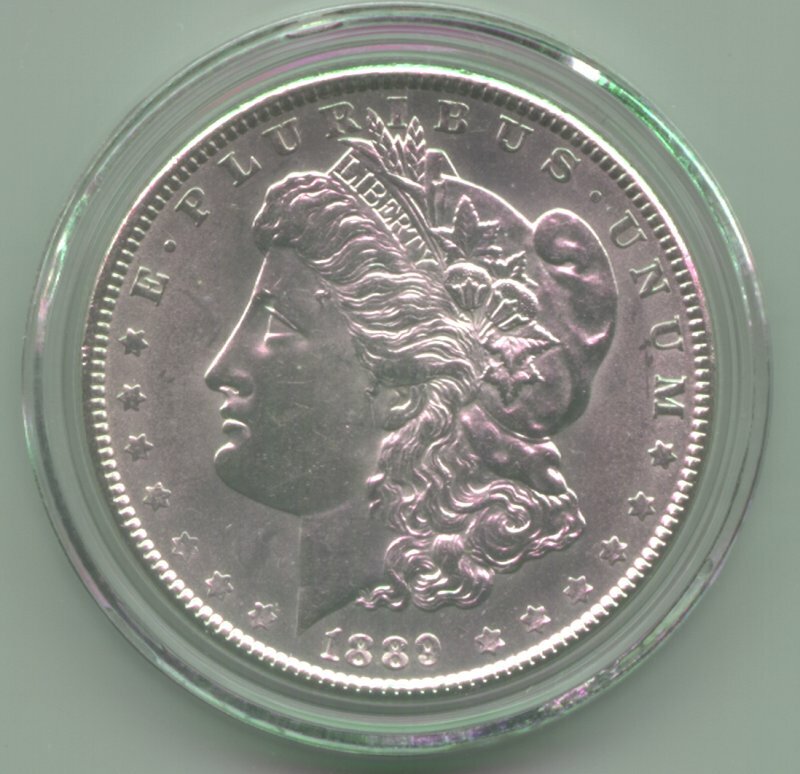 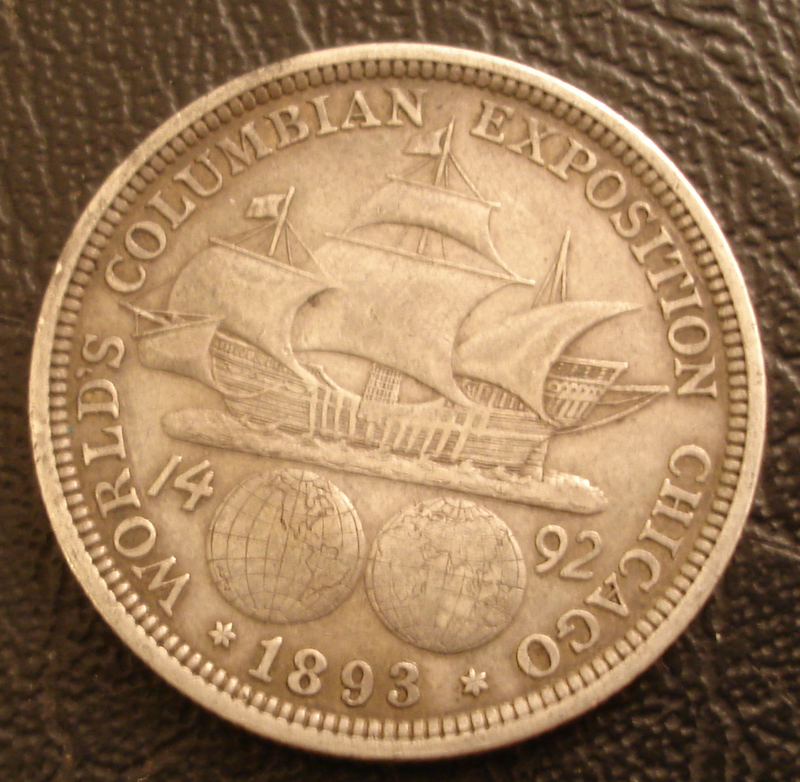 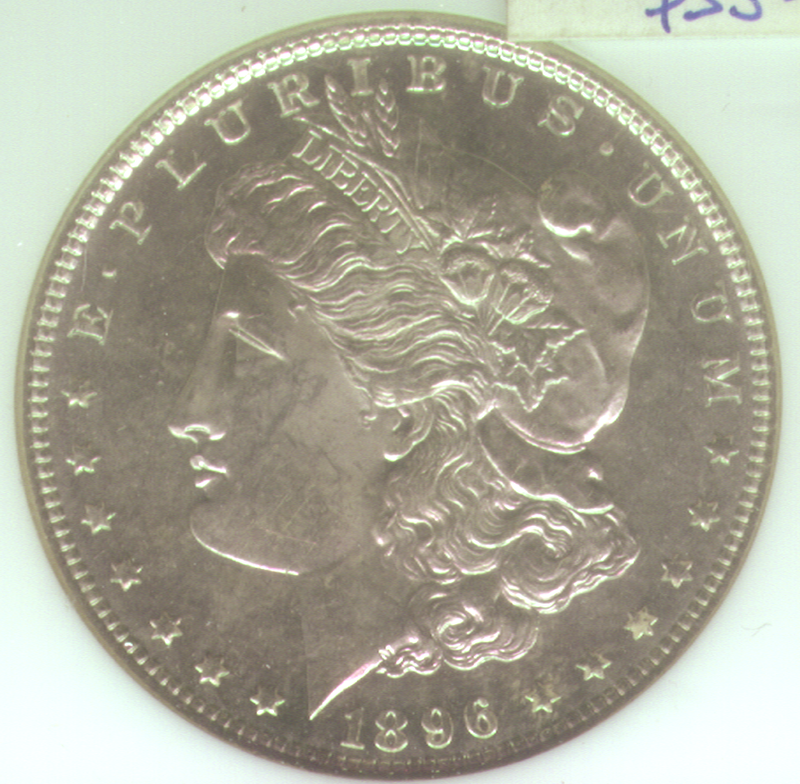 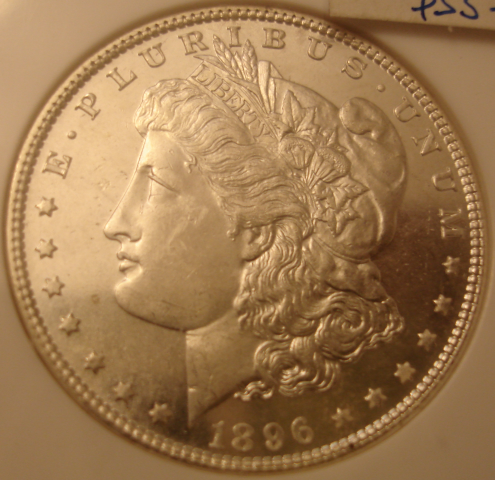 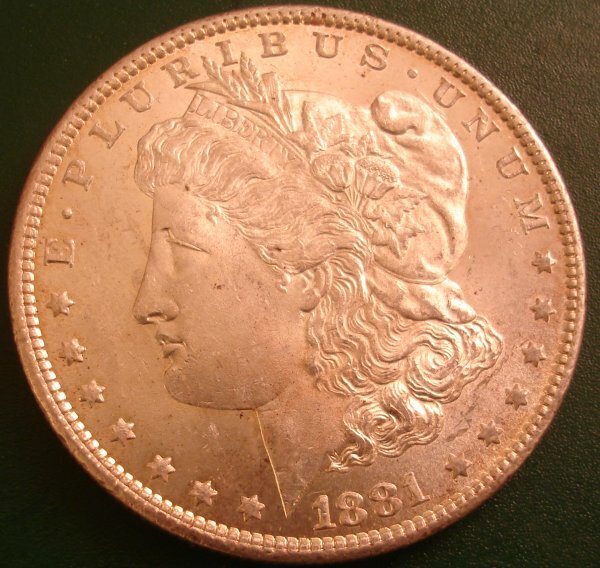 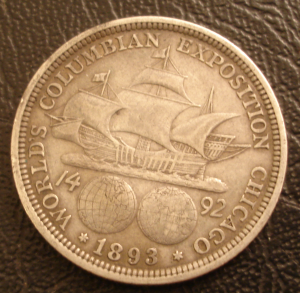 From 1878 until 1904 the coin was minted in 3 mints, Philedelphia, New Orleans and San Fransico. 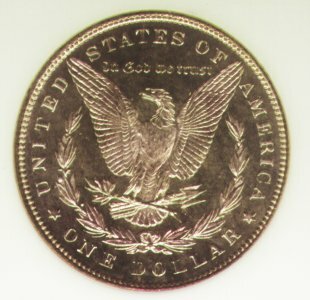 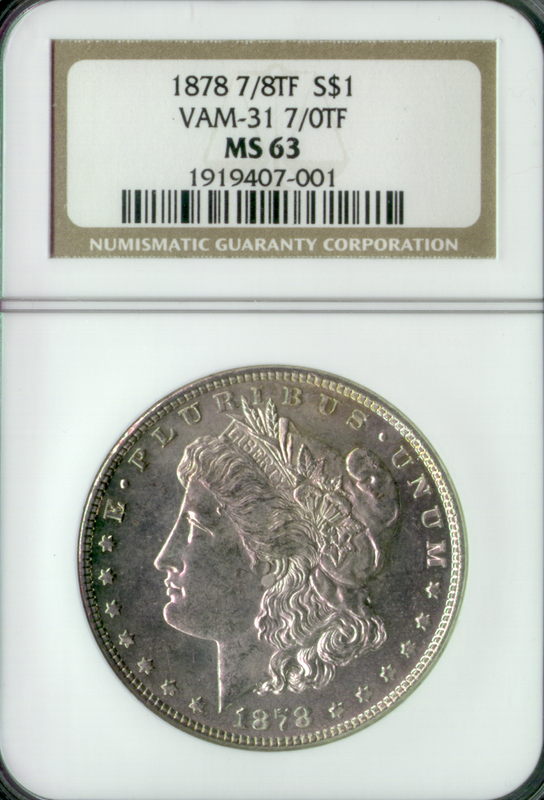 The Mint in Denver did not make any of the original Morgans, although they did mint the later 1921 remodeled version. The remarkable thing about the Morgan is that the coin was essentially coined as political graft for the silver mining interests at the last 19th century, as much as being struck for any coinage or financial reasons. 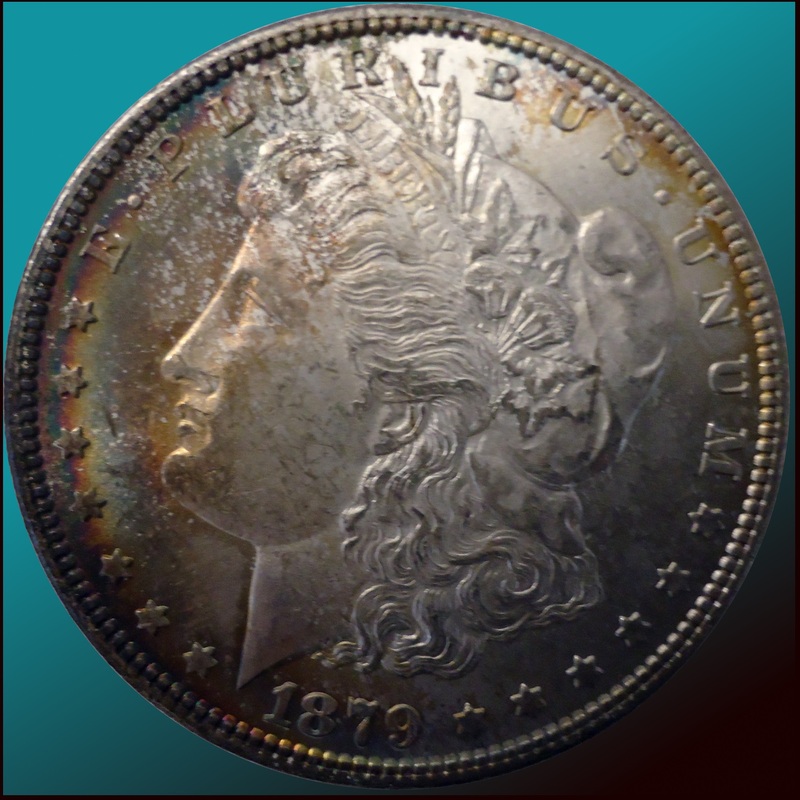 The coin was one of the most minted designs in world history and Morgans are just about everywhere. 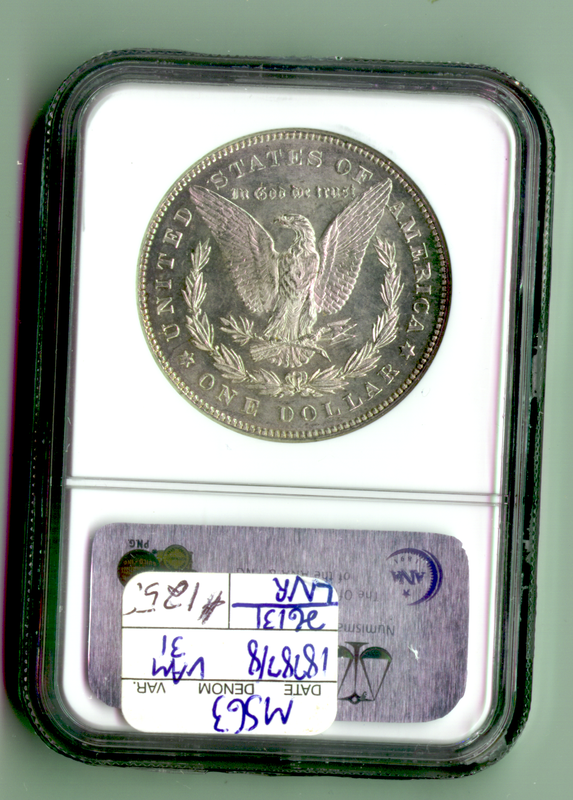 This is an example of one of my favorites. 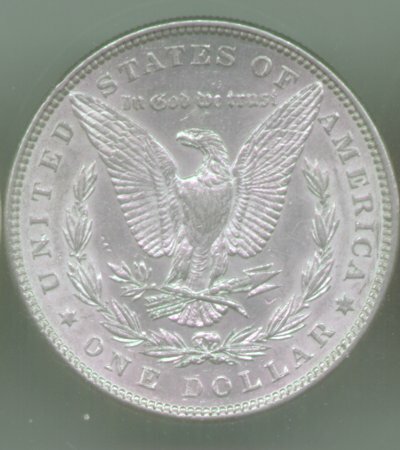 Obverse Reverse The coin is scanned below. 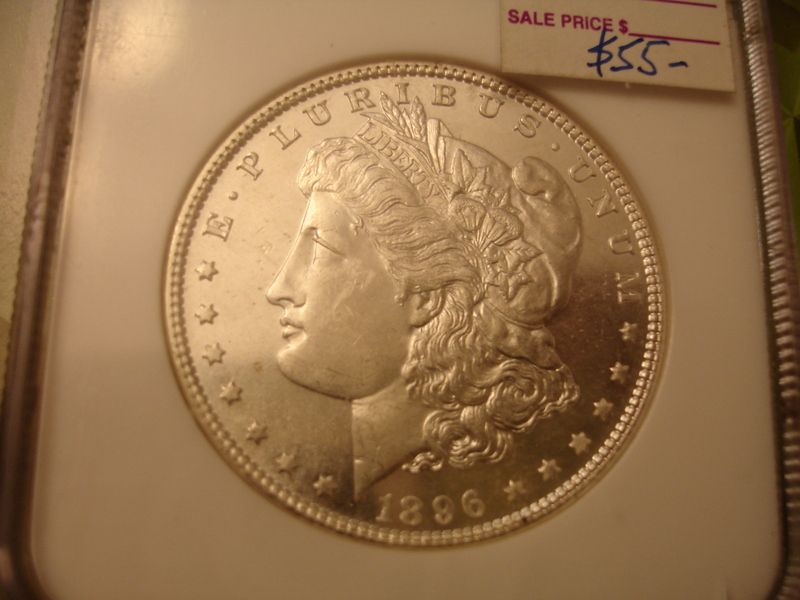 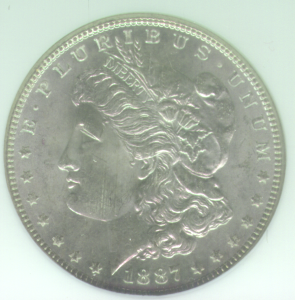 When judging the quality of a Morgan Dollar, this example shows many of finer qualities one looks for. 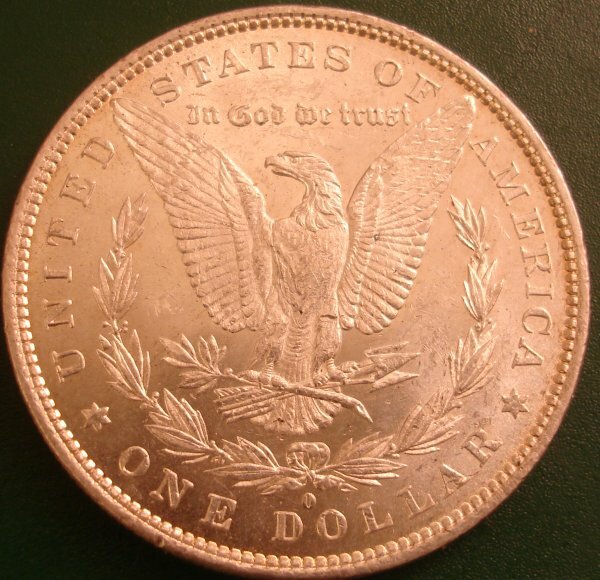 The breast feathers of the Eagle is always the first thing I look at. 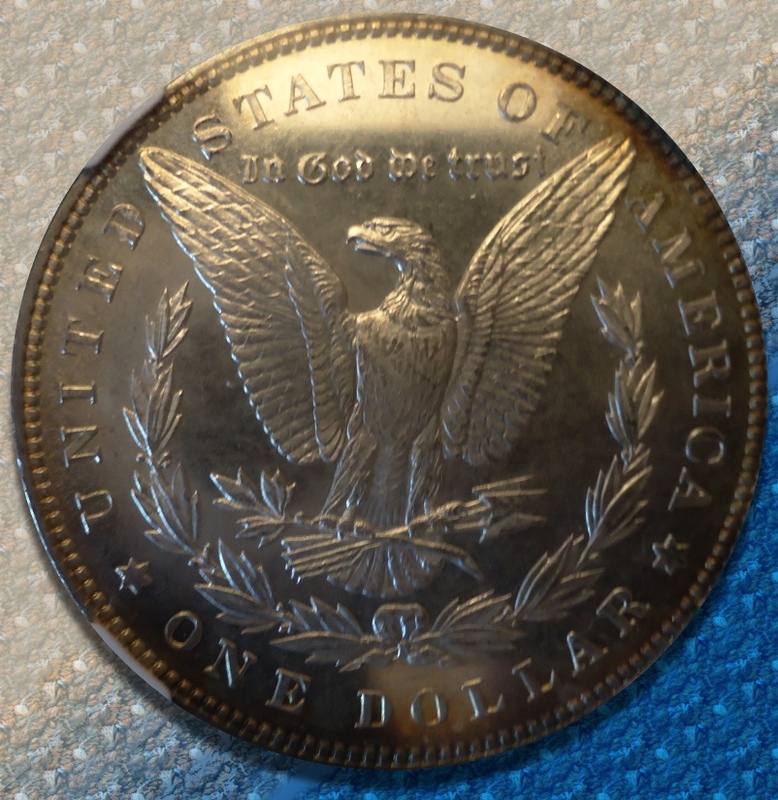 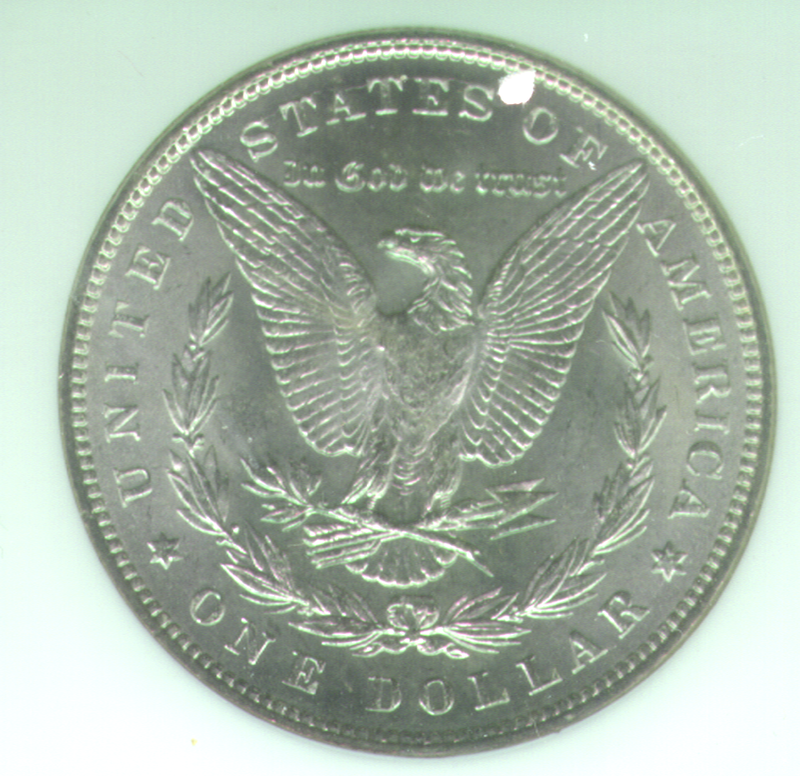 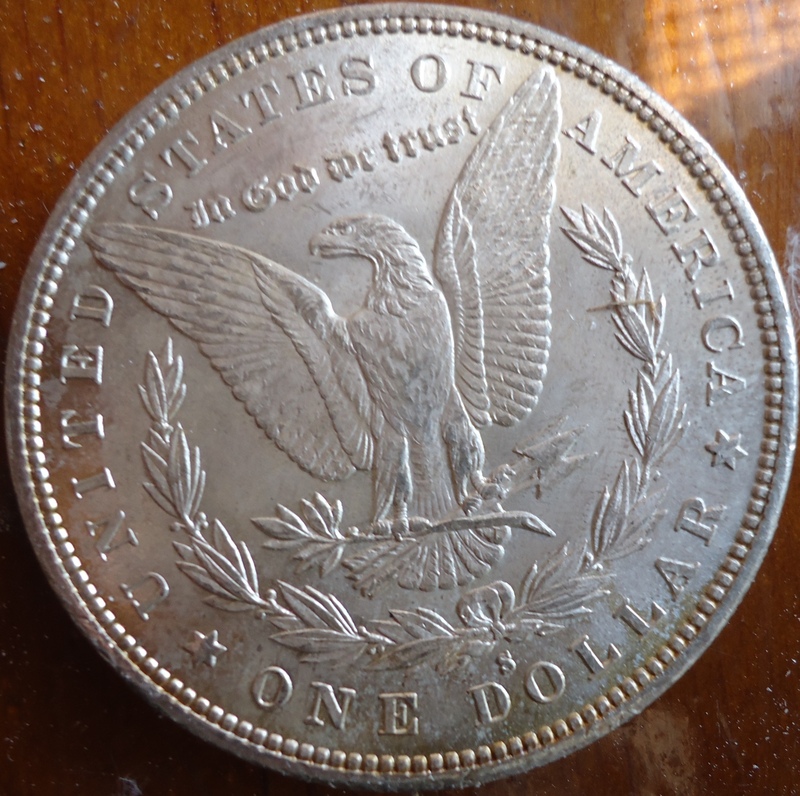 For reasons of either poor striking of the coins when it was minted, or because of later wear on the silver, Morgan dollars, even some of the finer examples, often have flattened breast feathers on the chest of the eagle. 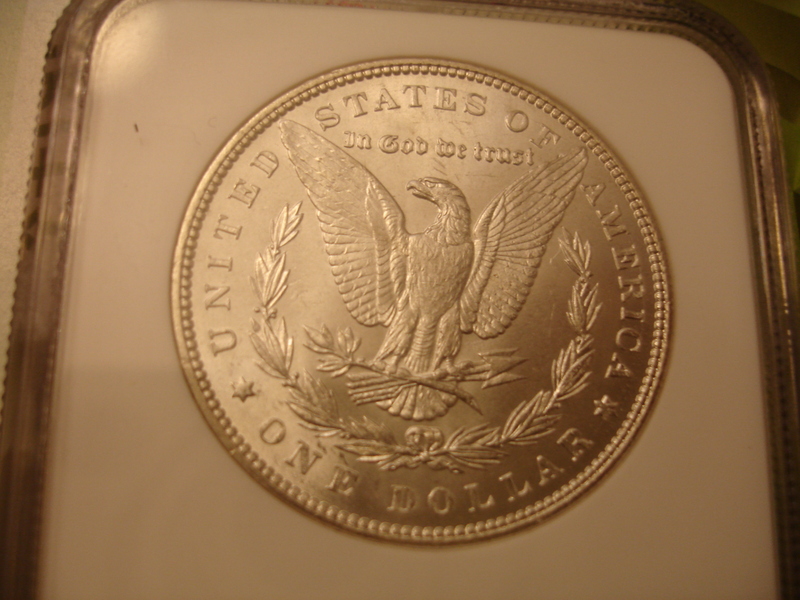 In this example we can see clear feathers throughout the entire chest, and even to the feather lines on the tail between the leg and the tail feathers. 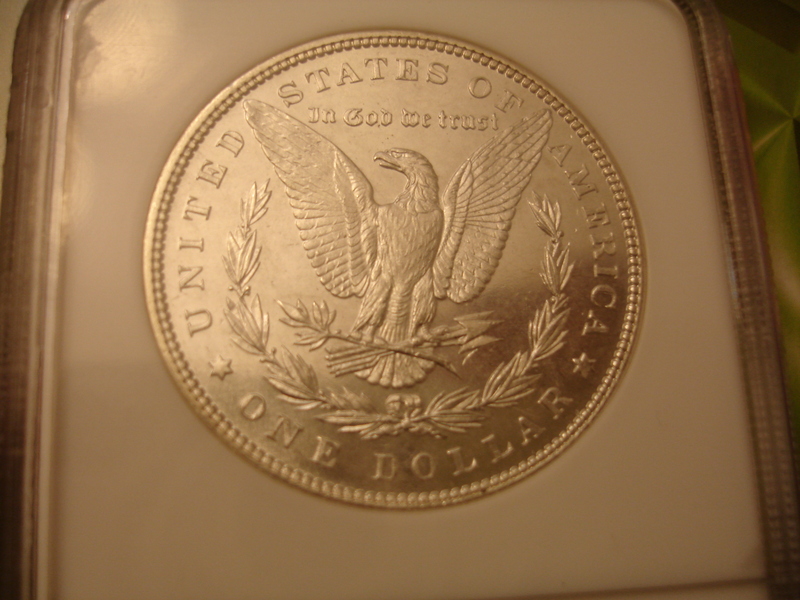 Other places to look on the reverse is the tips of the wings and the lines in the wing feather design. 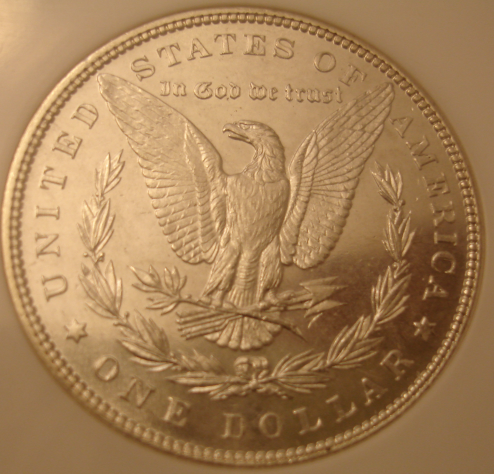 This would including the breaks in the pattern. On the wonderful obverse, the curls of the hair above the ear are also often flat. 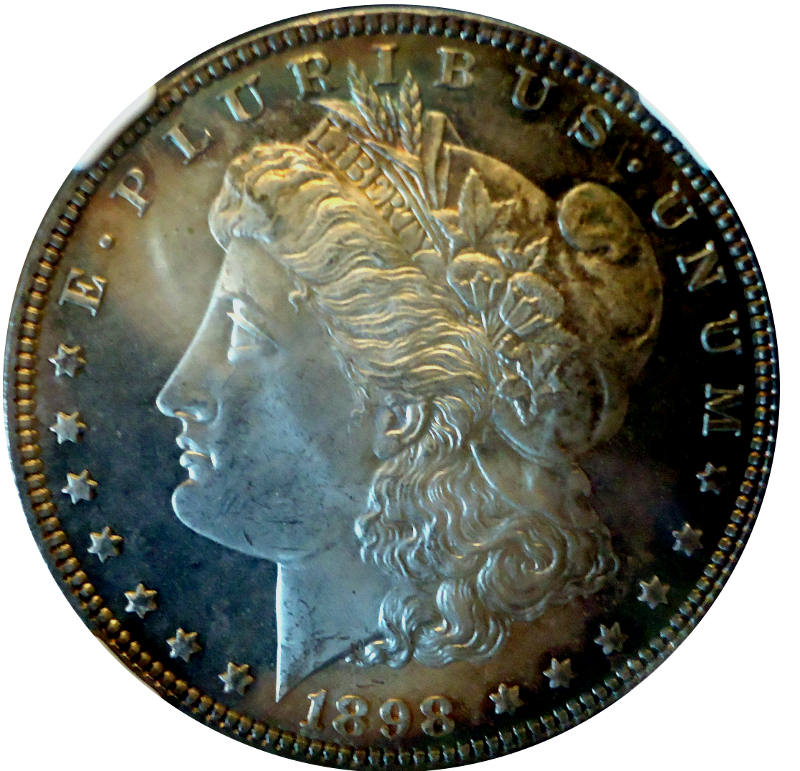 In this example one can see the wonderful swirling hairlines and curls. 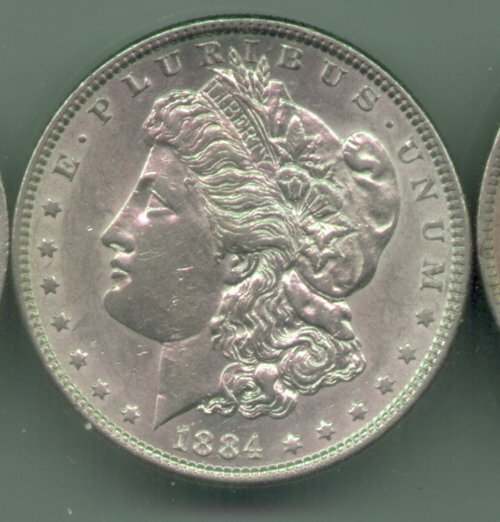 The smoothness of the high cheek bones that are elegantly scupted, but often this area has scratches witch badly reduce the asthetics of the coin. 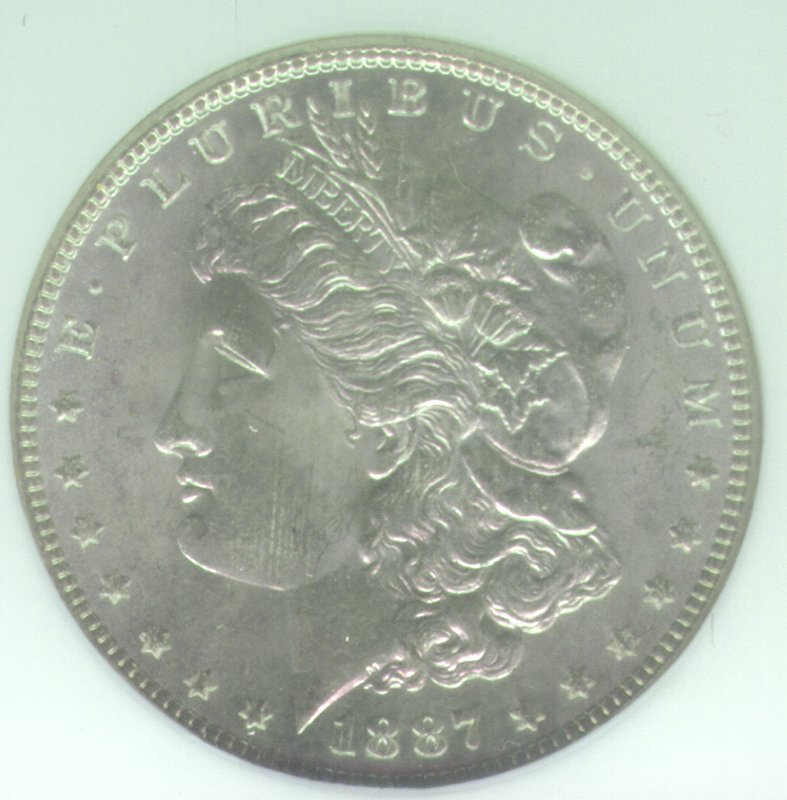 This example has some light scratches on the cheek which minimally affect its beauty. 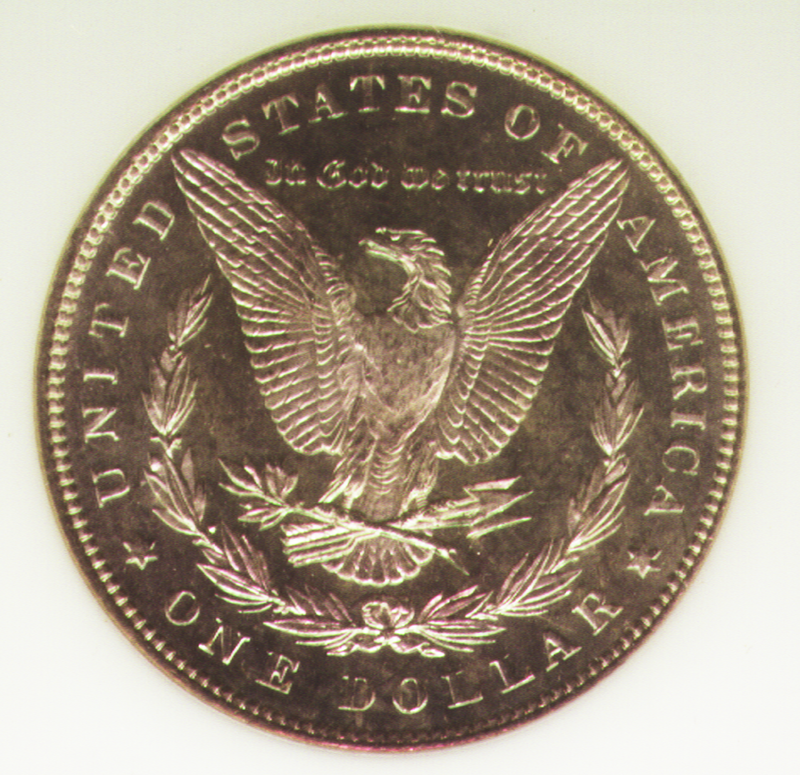 Finally the leafs and follows which are above the liberty band are also places to look for grading of the coin. By the way, the little nick one third the way up the neck is part of the coin design is intentional and not a fault. In addition to the beauty of these coins in mint and near mint states, the Morgan Dollars also have the property of being beautiful as they wear in circulation. 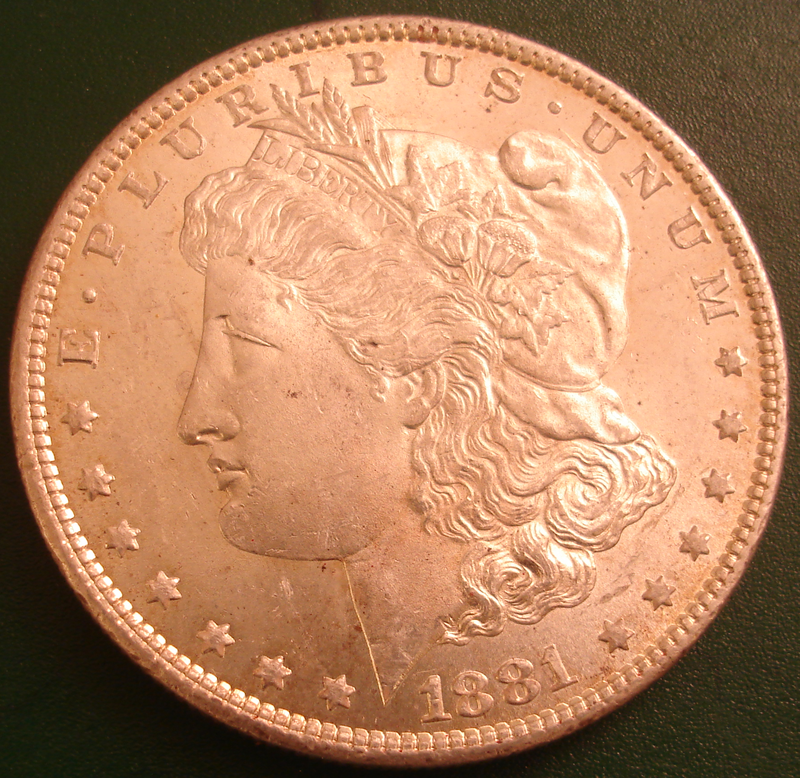 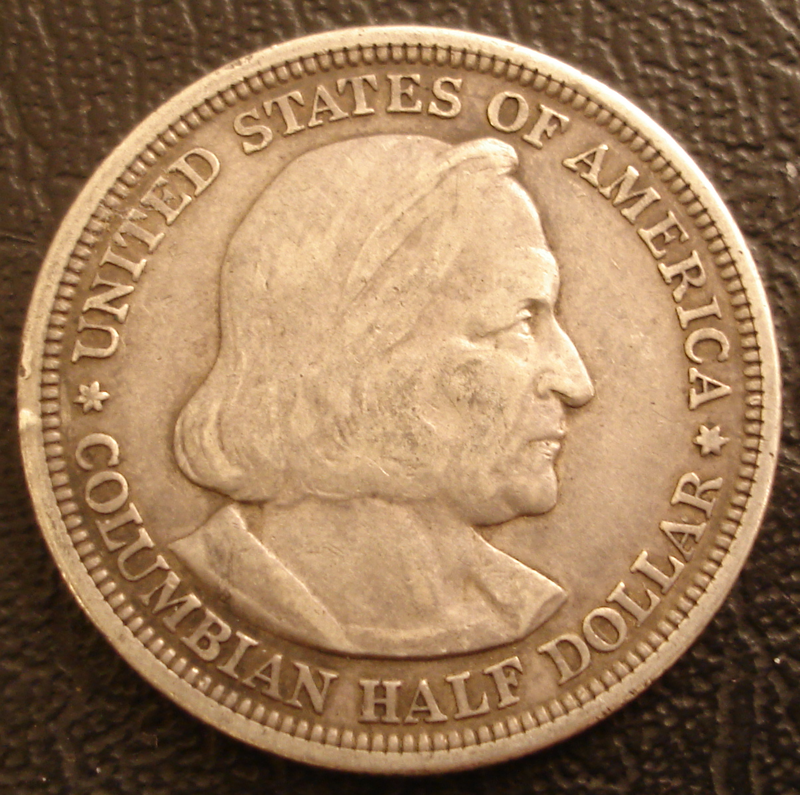 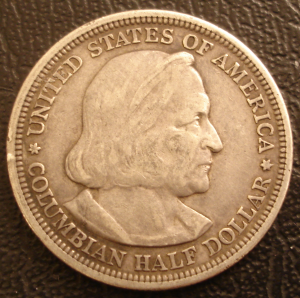 Many coins which are wonderful in mint, such as the standing liberty halves, upon wear, lose all their attractiveness. 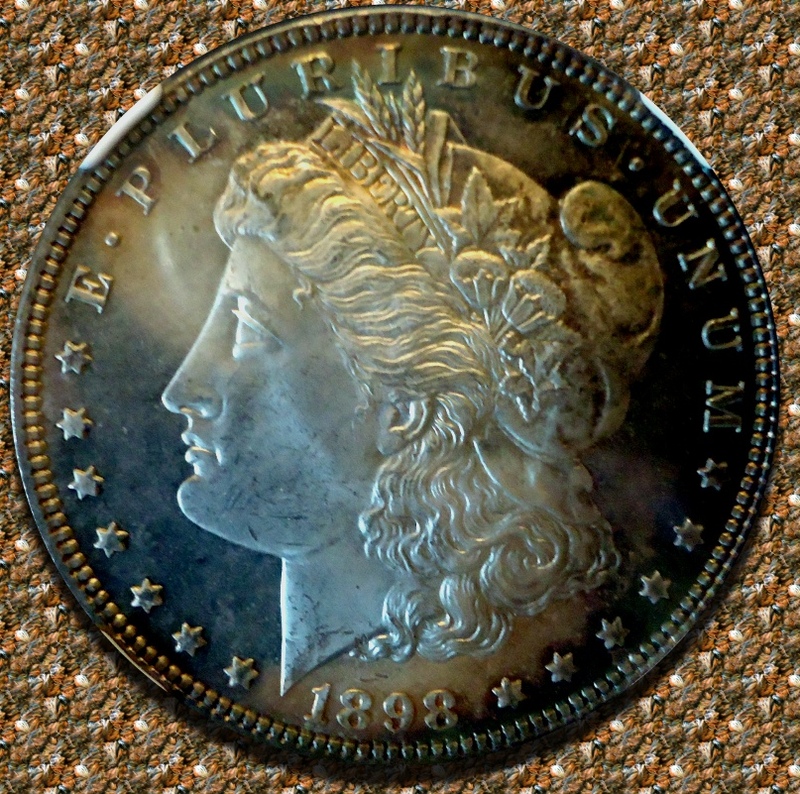 Considerable thought had been given the beauty of Morgan Dollars as they circulated, and that shows in their beauty as they age and even tone.